hasn't seen a tourist in some time. We'd still be there if it weren't so hot. It is gorgeous. 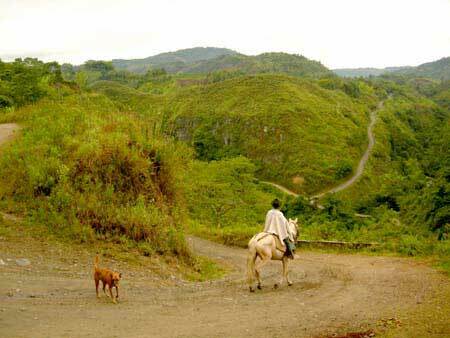 I camped at the bottom of this hill for the better part of two weeks next to Rio Naranja, just outside San Agustin. 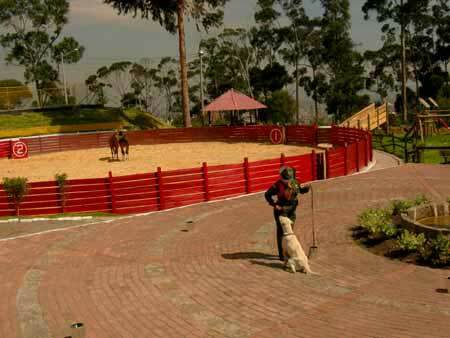 Because the military presence is so strong in Colombia, it's very difficult to find camping where you're not questioned. 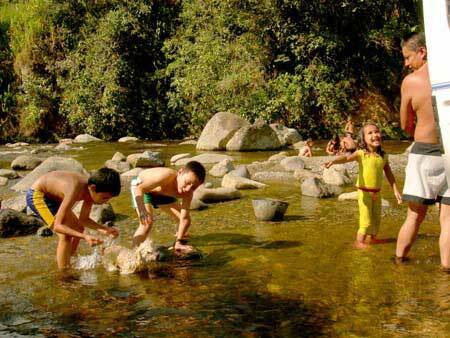 This is the one place I had no problems. And the locals thought it very amusing that I was here. Some days people came by to gather rocks for building, clean their vehicles or in this case their dog too. Rio Naranja near San Agustin. 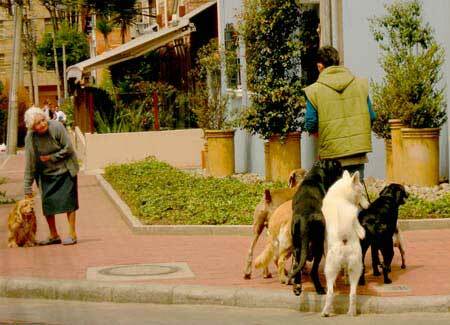 One of the many dog walkers in Rosales, Bogota. Overlooking Bogota, the police facility Carabineros y Guias or Guns and Guides where I did a story about bomb-sniffing dogs. This is police officer Elizabeth and Peper during a daily refresher course. In a restaurant this is Elvira and Indigo near Picalito. 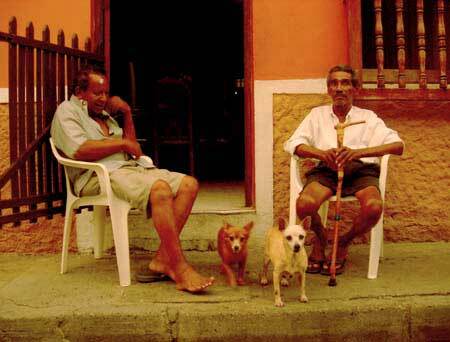 Outside Florencia, an elderly man and Chicqui. 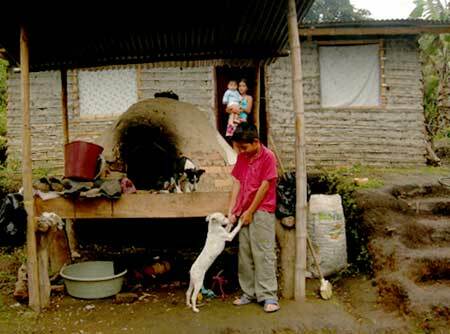 When I met this vet student in Florencia, he was frantic because someone had left the front door of his house open and Lola had slipped out. He was showing me and some military police her picture on his camera in the hopes we'd seen her. An hour later after jogging shirtless around the neighborhood, he located her. Both were ecstatic. 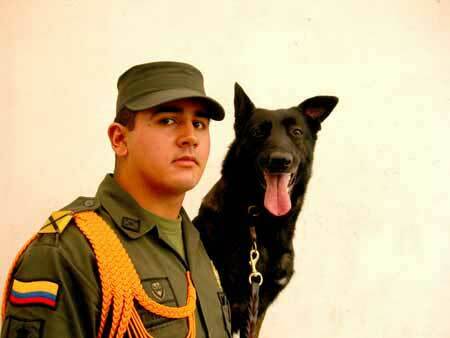 Police officer Fredy Alexander Martinez Cruz and Canino Bito Pito. 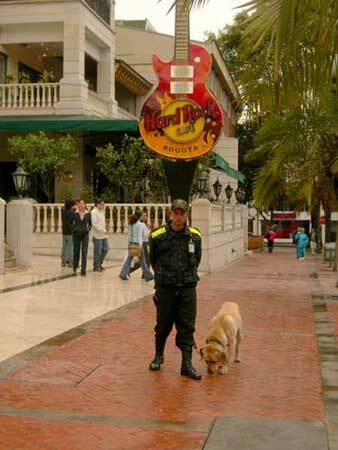 Many shopping malls in major cities hire security guards and bomb sniffing dogs because of past problems with FARC and other organizations. 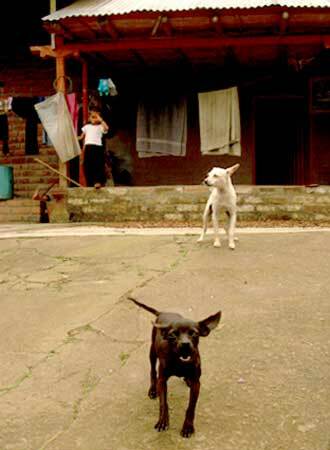 Juan David and Vivi training. The sign translates to Self-Reliance, Integrity, Bravery. 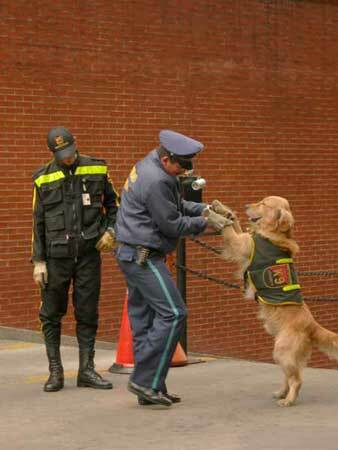 K9 Security company in Bogota has over 600 dogs for hire to apartments, banks, shopping malls etc. 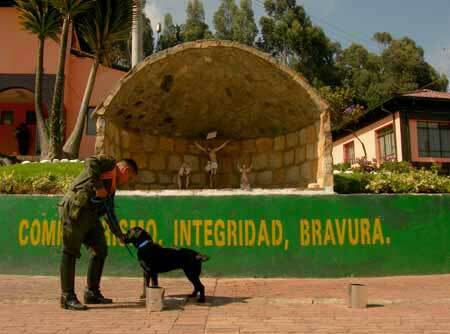 The military use dogs at certain checkpoints through Colombia on the main roads. 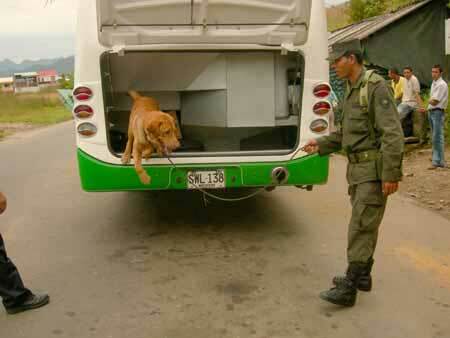 This is Chopito leaping out of a bus whose passengers luggage he's sniffed for illegal substances. Florencia. 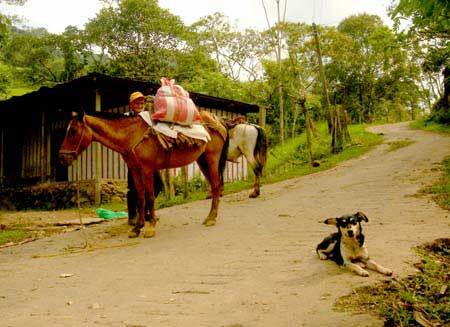 On a steep and narrow mountain road between Florencia and Pitolito, this restaurant was also a store and mechanics shop called Monta Llantas y Restaurbrante El Vialero. 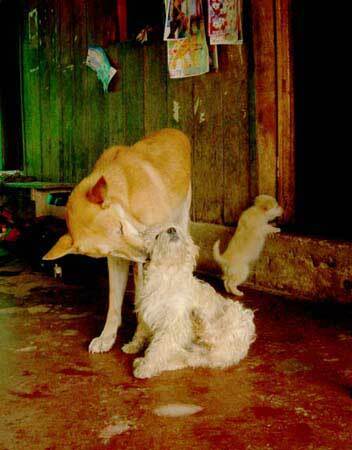 A tiny dog was at liberty to run where it wanted, but this dog and another larger nursing female were permanently tied. 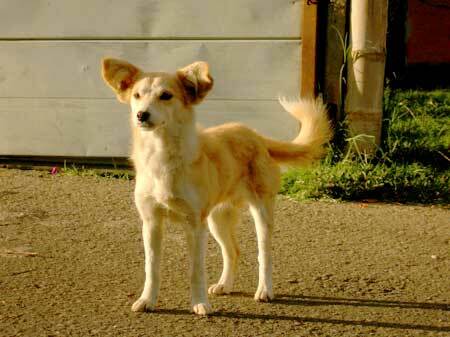 Maltese mixes are very common in Colombia, as are Chihuahuas. 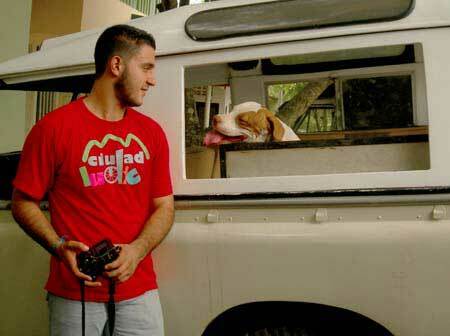 The larger male was extremely protective towards both his human and dog family, and house. He didn't make me feel welcome at all. 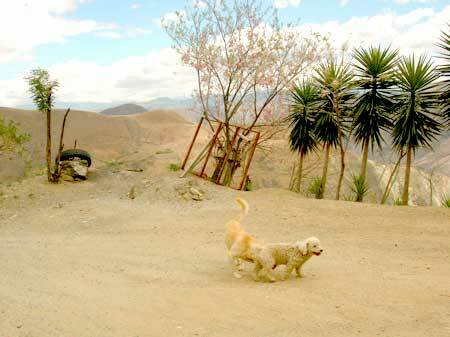 Paolma leaps at Camilo, while Natasha looks from the oven where he spent the night sleeping. 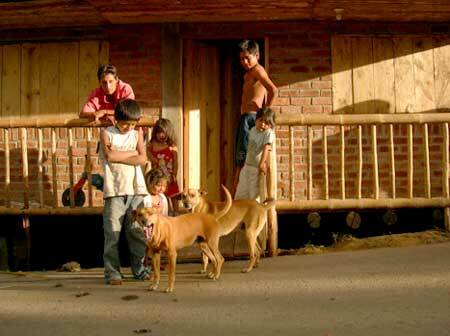 Camilo's two sisters watch from their bedroom, a separate building from the main house which is made of brick. Despite this spontaneous affection, and stroking Natasha before this shot was made, a few moments later Camilo was throwing tiny bits of stone at both dogs to keep them away. Outside San Agustin. 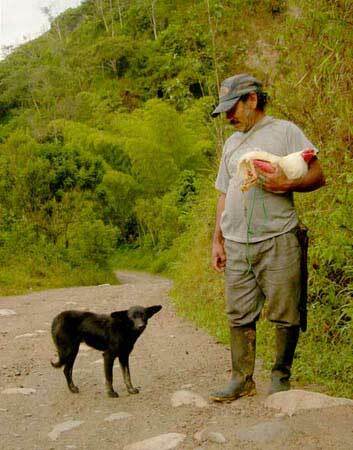 Though there doesn't seem to be a connection between the two of them in this picture, this dog goes everywhere with the man. Oftentimes there isn't a overt physical connection like what we're used to seeing in Europe and America, though that doesn't mean the feeling doesn't exist. Dian is the one on the right and the ringleader for this pack. The owners were amazed I thought their dog was beautiful. 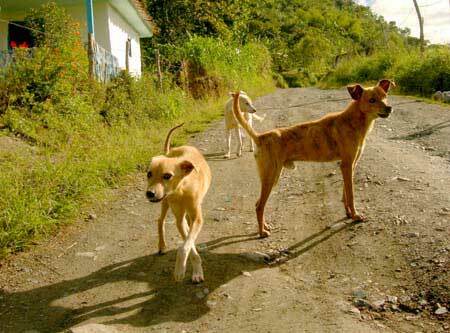 Streetdogs are called, los callejeros o criollos, which translates to native of the road map. This one is playing with the Chihuahua who's on a lead. The owner doesn't mind. Sofia, who is about 8 months pregnant freely gives affection to Homer, named after the character on the Simpson's. 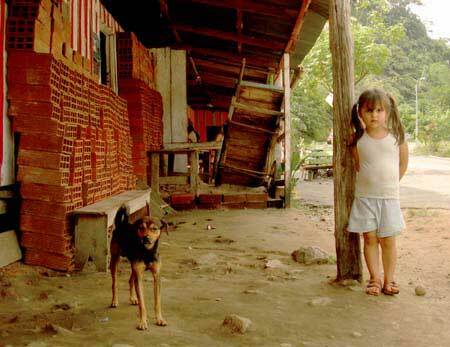 Carino, and Gigante in the background in Isnos Huila, in the pueblo of Vereda Hornitos. 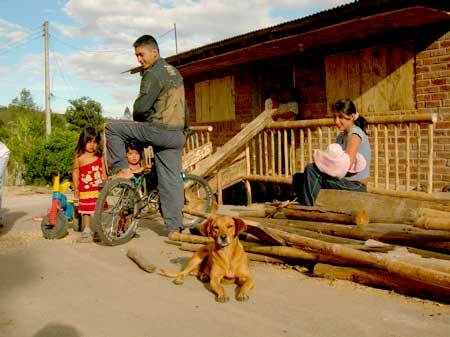 On the outskirts of San Agustine. Milon flirts with Cokie at the Loma Largo kiosk near Tunel de la Llana. In between Popyan and Pasto. Just down the lane from where I spent the night an hour south of Popyan in the pueblo of Embasion. 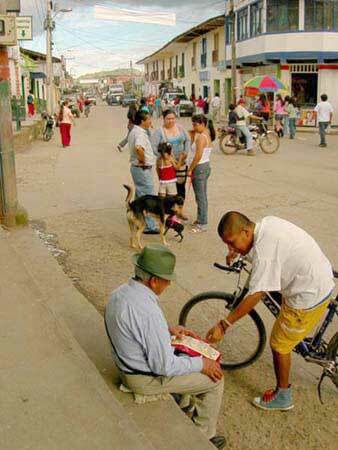 This is Carinyo and Cuskee with their people. 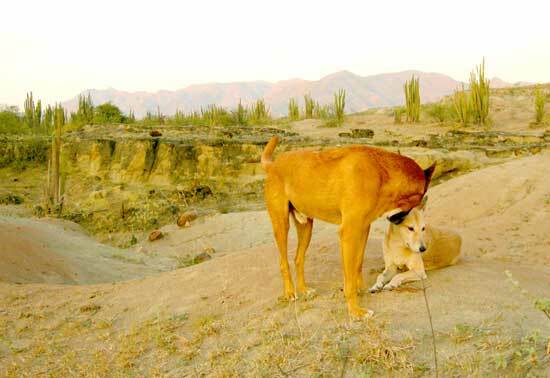 This is the saga of one woman's journey around the world with her two Kenyan dogs. I'd like to announce the winner of the August drawing for a free copy of Cairo Cats, www.CairoCats.com! It's Yolanda Hanna in Florida! It was so enjoyable for me to do this, that I'll have another drawing on October 16th in appreciation of National Feral Cat Day. For more information on this event click on www.nationalferalcatday.org. 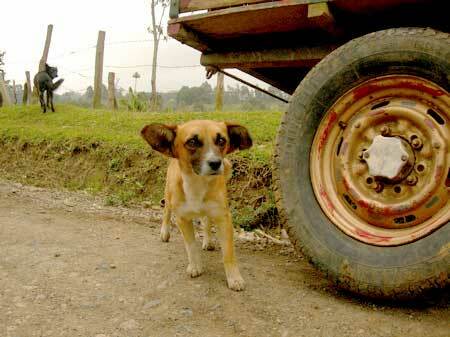 This new blog is strictly pictures of dogs of Colombia, with few words from me. Dog lovers enjoy! For all of you who were away this summer, I've rearranged some of my sites. Current travels will be here at www.OnaMissionfromDog.com/dogblog.htm. 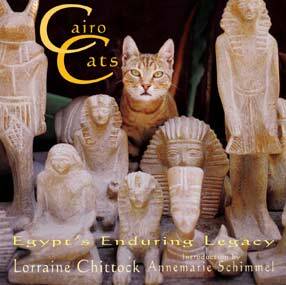 A list of archived material is at www.OnaMissionFromDog.com/archives.htm. PDF's of prior magazine work is at www.LorraineChittock.com.